You may remember a few weeks ago I sent out a survey asking what sort of courses you’d like to see offered at The Pie Academy going forward. Somewhat surprisingly (at the time) cream pies got a whole lot of love. In hindsight, I don’t know why that came as a surprise. After all, cream pies hold a place of honor in the pantheon of American pies. Nothing says “comfort food dessert” quite like a creamy vanilla or chocolate cream pie, topped with snowy drifts of whipped cream. Indeed, more than a few eateries across our vast country have built their reputations on the strength of their cream pies. Clearly, we are smitten. 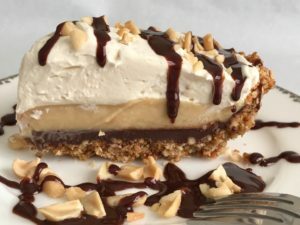 So this week, and just in time for Pi Day on March 14th, we pay tribute to cream pie with a recipe for Black Bottom Peanut Butter Cream Pie. I’m a sucker for virtually anything with peanut butter in it or on it. I start my day with coffee and peanut butter-smeared crackers. I dip pretzels into the jar when my wife, Bev, isn’t looking. And since Bev purchased a shipping container’s worth of Girl Scout cookies last month, I’ve taken to glazing those with it, too. We’re talking one serious food crush here. The layering is beautiful and the creamy flavors and crunch of the crust all work perfectly together, like a well chosen party guest list. This is a pie whose memory lingers long after the last bite. It’s a bit of a production, but there’s no filling to bake and it all comes together quite easily. Go all out for Pi Day and finish off slices with a drizzle of the leftover ganache and chopped peanuts. Cream pies don’t hold up forever, so it’s best to plan this pie for when you’ll have a few people around to help you polish it off. It will keep for up to 72 hours in the fridge; beyond that, be prepared to binge or make your neighbors very happy. I’m heading over to Charlottesville, Virginia later this month and if you’re within striking distance I hope you’ll stop by and say hi. 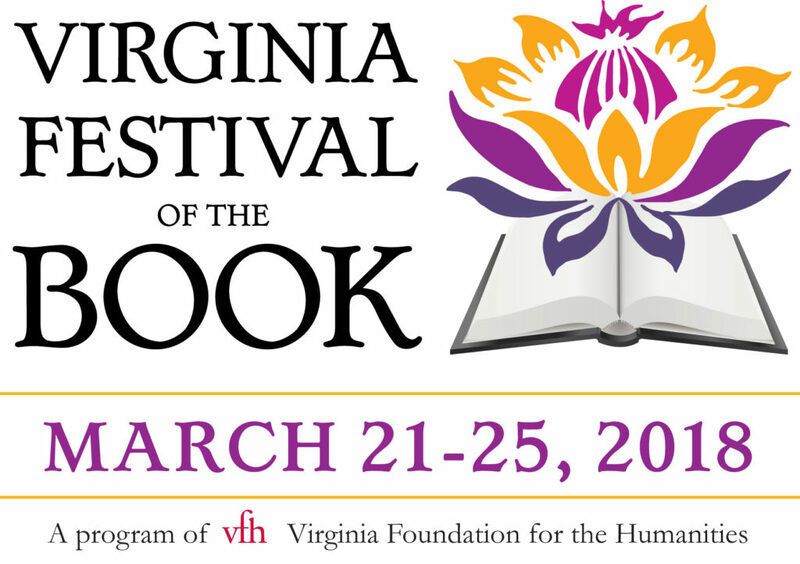 I’m one of the featured authors at this year’s Virginia Festival of the Book, which brings together authors and book lovers from across the region for several days of talks and activities. On the morning of March 22nd I’ll be demonstrating one of my recipes from THE HARVEST BAKER at The Charlottesville Cooking School, and the following day I’ll be part of a panel discussion with several other food and gardening authors. Should be a lot of fun if you can make it. To find out more, go to the Virginia Festival of the Book website. When I hit the “publish” button on my new ebook a few weeks back, I expected – well, I didn’t know quite what to expect, frankly. I’d read numerous accounts of self-published ebooks wandering confidently into the Amazon jungle, never to be seen again or to emerge months later, scratched and bloodied and ranked at #4,590,329. I prayed this wouldn’t happen to me, so I followed what seemed to be some commonsense advice gleaned from a handful of reputable sources. I hired a professional to create the cover; I included solid content that addressed pie making problems and confusions I hear about most often; came up with a catchy title and descriptive subtitle; and I positioned it in the Amazon categories I suspected would get the book the most traction. And by golly, this approach seems to have worked. The first copy was purchased on February 17th – hey, I had to make sure everything was working properly. Soon followed, the next day, by a couple of sales to family members. There was an avalanche of orders when I announced the book here, followed by strong daily sales nearly every day since, enough so that I’m quite certain that word is spreading well beyond The Pie Academy community. I’m not going anywhere in particular with this update, other than, perhaps, to thank you again for your support in helping me achieve a nice push into the world of self-publishing. 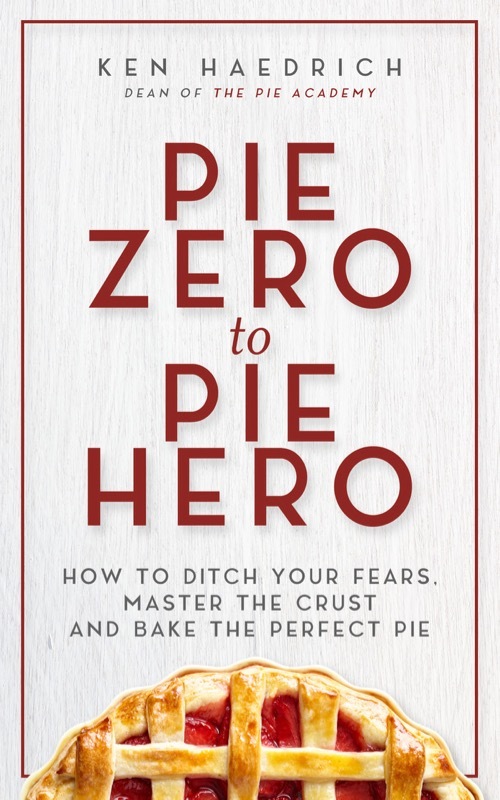 As of this writing, PIE ZERO TO PIE HERO remains in the #1 position on Amazon for all pie books, and near the top for Kindle cookbooks, and I have you to thank for getting me there. Thanks again. And if you’d like to download a copy (for just 99¢) or tell a friend about it, here’s the Amazon link. Back when my kids were little they loved helping me make pies like this one. (My motto back then was Why spend 30 minutes making a pie myself when I could spend 2 hours doing it with the kids.) Here's a tip: If you have kids or grandkids you'd like to involve, prepare some of the elements ahead - or at least pre-measure some of the ingredients - and have the kids do (mostly) the fun stuff like pressing the crust into the pan or making the whipped cream and piling it on. They'll have a blast! Take photos and send me one, too. Heat the 3/4 cup heavy cream to a near boil in a medium saucepan. Add the chocolate chips and the 1/2 teaspoon vanilla. Immediately remove from the heat and set aside for 5 minutes, then whisk until smooth. Pour a little more than half of the chocolate into the middle of the pie shell. Immediately tilt the pan this way and that, so the chocolate covers the bottom and runs partway up the sides. Set aside on a rack to cool. Combine the sugar, cornstarch, and salt in a medium-size saucepan (not aluminum), preferably one with a heavy bottom. Whisk to stir. Whisk in the milk and yolks. Place over medium heat and cook, whisking virtually nonstop, until the mixture starts to thicken and comes to a boil, about 5 to 7 minutes. (You may have to pause your whisking for 3 to 4 seconds to see if it's actually boiling.) When it reaches a boil, lower the heat slightly and continue to heat and whisk nonstop for 1 1/2 minutes. Immediately remove from the heat and stir in the 2 teaspoons vanilla, the peanut butter chips, and the butter. Wait 3 to 4 minutes, then continue whisking until smooth. Pour about two-thirds of this peanut butter cream over the chocolate and smooth it out with a spoon. Transfer the remaining peanut butter cream to a small bowl and press a piece of plastic wrap directly over it to prevent a skin from forming. Cool the pie briefly, then transfer to the refrigerator and chill for at least 2 hours, preferably longer. For the final assembly, chill a bowl and your electric mixer's beaters for about 10 minutes. Pour the heavy cream into the chilled bowl and beat well. When it starts to mound slightly, add the confectioners' sugar and vanilla and continue to beat until incorporated. Add the remaining peanut butter cream and continue to beat until the whipped cream is firm; don't overdo it or it will turn grainy. Smooth the topping over the pie, then refrigerate until serving. Serve slices garnished with chopped peanuts and the (rewarmed) leftover chocolate, if desired. 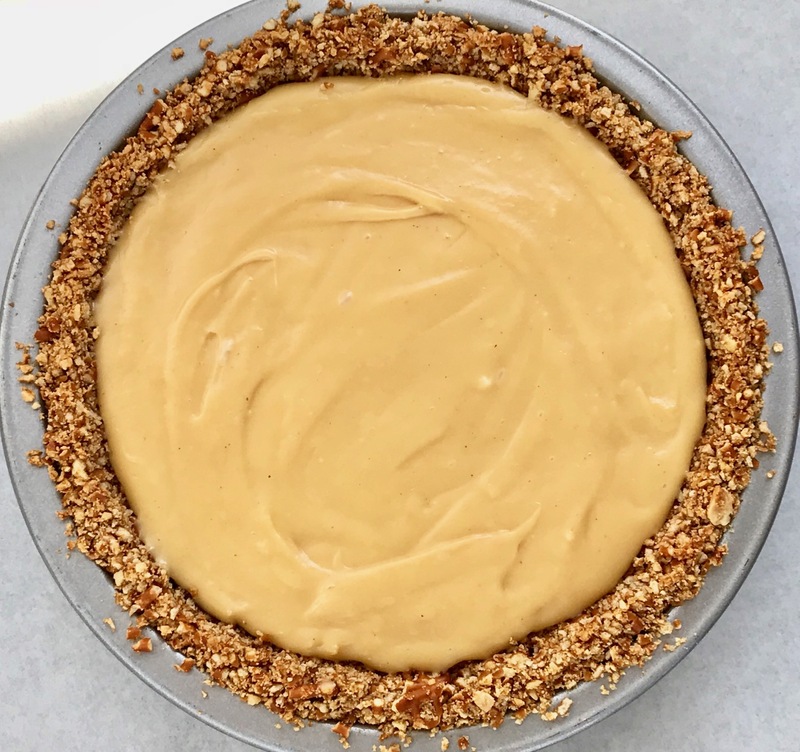 Pretzel pie crusts have become quite popular in recent years, since bakers have discovered how well the crunch and saltiness work with sweet, creamy pies like this Black Bottom Peanut Butter Cream Pie. It's a cinch to make, too. Put the pretzels in a food processor and grind them, using long pulses, until finely ground. It's fine if there's a smattering of slightly coarse pieces, but not too many; if the mixture is too course it won't press together as easily in the pan. Without washing the processor, add the peanuts and grind them finely. Mix with the pretzel crumbs. Combine the butter and brown sugar in small saucepan. Melt the butter, stirring occasionally. Using a rubber spatula, scrape the mixture over the crumbs. Mix well. Spread the mixture loosely around the bottom and up the sides of a buttered 9 1/2-inch pie pan, regular or deep dish. Press the mixture firmly into the pan. Bake on the middle oven rack for 8 to 10 minutes, just long enough to set the crust. It can darken a shade, but it shouldn't really brown. Transfer to a rack to cool.